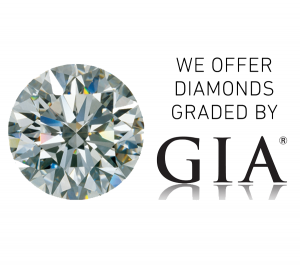 We founded The Gold ATM more than 10 years ago; today, we are pleased to say that we are the highest-reviewed gold and diamond buyer in Atlanta, with over 250 five-star reviews on Google. Apart from gold and diamond buying services, we are also famous for our luxury watch buying services. In fact, we are the most prominent watch buyer and watch broker in the area. We buy watches from various famous brands, such as Cartier. In the world of luxury watches and fine jewelry, Cartier is definitely one of our favorite brands. This French luxury goods conglomerate designs the finest jewelry and high-end watches. From early on, Cartier set the bar high; the company has a long history of sales to royalty. Naturally, the brand has always been a synonym for value and quality. Cartier designs watches for both men and women; their pieces are timeless, luxurious and valuable. Moreover, their designs are original, and the value of their watches tends to increase over time. When it comes to Cartier jewelry, it is famous among numerous royals and celebrities. Cartier makes unique earrings, rings, necklaces, and bracelets. All of their jewelry is made from the finest metals such as gold, white gold, and platinum. Cartier remains true to the finest skills and traditions. Their craftsmanship is so rare that it is in danger of becoming extinct. In order to protect their traditions, Cartier founded a private institute in 2002 with the goal to preserve their exceptional skills and techniques and pass them onto future generations. With over 250 five-star reviews on Google, we are the highest-reviewed and most reliable gold buyer in Atlanta. We buy all sorts of fine gold and high-end watches; that goes for name brand jewelry too. We offer the best rates on all fine jewelry in Atlanta, especially on Cartier pieces. In addition, we offer low-interest jewelry loans on all Cartier jewelry; our rates start as low as 5%. Those who wish to sell their Cartier pieces should know that we provide free jewelry evaluations and consultations at The Gold ATM. Bring your Cartier jewelry or watch to one of our offices and we will show you the finer details of your pieces using our digital microscope. Also, there is no need to feel pressured to sell; our environment is entirely pressure-free. As the most reliable watch broker in the area, we can also help our customers who are interested in buying a Cartier watch. What’s more, we can help them find one at a great price (much lower than at their local retailers).